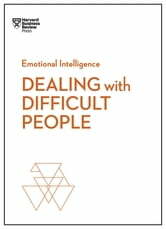 At the heart of dealing with difficult people is handling their--and your own--emotions. How do you stay calm in a tough conversation? How do you stay unruffled in the face of passive-aggressive comments? And how do you know if you're difficult to work with? 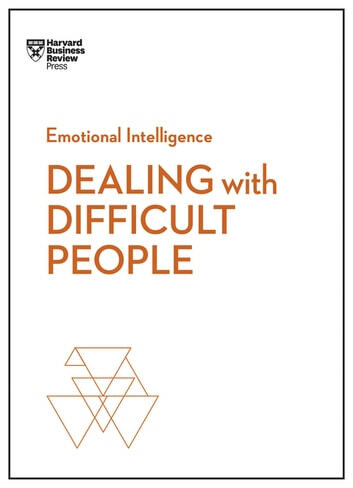 This book explains the research behind our emotional response to awful colleagues and shows how to build the empathy and resilience to make those relationships more productive. This collection of articles includes "To Resolve a Conflict, First Decide: Is It Hot or Cold?" by Mark Gerzon; "Taking the Stress Out of Stressful Conversations," by Holly Weeks; "The Secret to Dealing with Difficult People: It's About You," by Tony Schwartz; "How to Deal with a Mean Colleague," by Amy Gallo; "How To Deal with a Passive-Aggressive Colleague," by Amy Gallo; "How to Work with Someone Who's Always Stressed Out," by Rebecca Knight; "How to Manage Someone Who Thinks Everything Is Urgent," by Liz Kislik; and "Do You Hate Your Boss?" by Manfred F. R. Kets de Vries. HOW TO BE HUMAN AT WORK. The HBR Emotional Intelligence Series features smart, essential reading on the human side of professional life from the pages of Harvard Business Review. Each book in the series offers proven research showing how our emotions impact our work lives, practical advice for managing difficult people and situations, and inspiring essays on what it means to tend to our emotional well-being at work. Uplifting and practical, these books describe the social skills that are critical for ambitious professionals to master. Critical Thinking: 8 Powerful Strategies That Will Help You Improve Decision Making Skills, Think Fast and Clear! How To Improve Your Business And Personal Life Faster Than Anything Else? Making Choices...That Make You Happy!